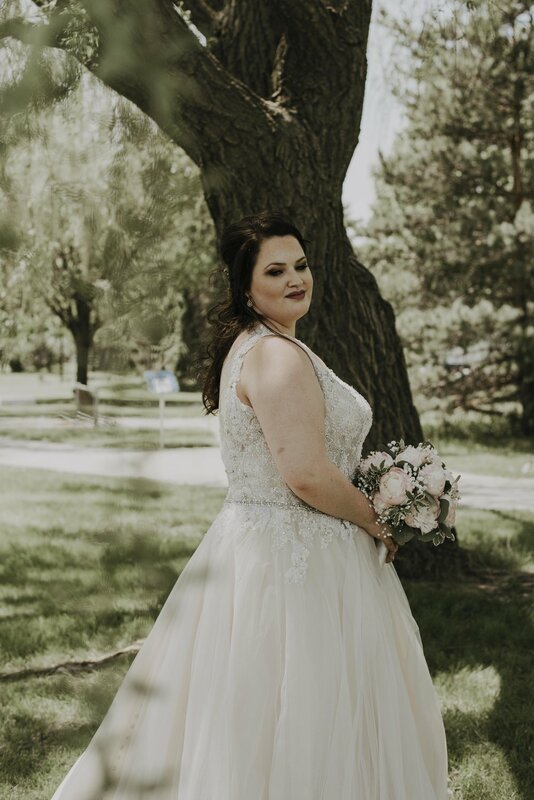 We have so many good things to say about Elaina and Justin's wedding, but first we have to address the weeping willow tree that we were SO fortunate enough to be able to get photos with! Seriously guys, weeping willows are probably our fav; they always make for amazing photos. But besides that, traveling to Bay City for their wedding made for a wonderful day, and we even got to take a break between couple's portraits and the ceremony for some McDonald's. Having so much free time to do so was a first for us!